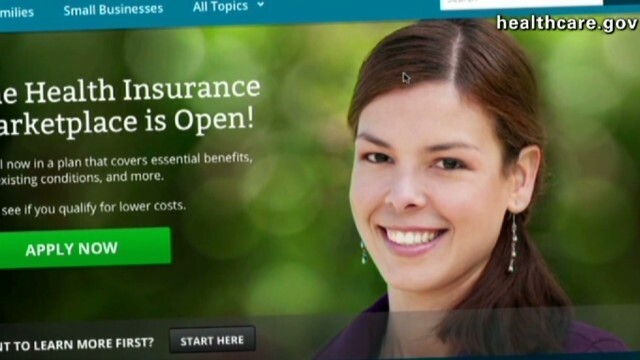 Washington (CNN) - After years of characterizing the insurance industry as the bad guys in the health reform debate, the White House on Wednesday invited insurance company executives in to deliver a clear message: we need your help. At a session led by White House Chief of Staff Denis McDonough and Health Secretary Kathleen Sebelius, insurance executives gave the administration “a picture of what’s going on on the ground” and offered to help fix the problems. As a result, technical groups from the companies are now going to work directly with experts from the government who have been running the website, according to this source. “We are encouraged they are looking to the experts in the industry,” the source said. The question, of course, is why this didn’t happen sooner. Another problem is the direct enrollment to insurance plans through the website - largely because the applicants have to go back to exchanges to set up accounts. According to this source, the administration said it’s ”on the case” and wants to solve the enrollment problem. Companies would like to be able to have people both enroll through exchanges, or directly with insurers. In a statement after the meeting, the White House said the administration is “collaborating closely with the insurers to address problems we have witnessed” in direct enrollment as well as other issues. A total of 14 insurance leaders met with McDonough, Sebelius and White House Senior Adviser Valerie Jarrett, as well as other officials. Just bring some of the brilliant India Programmers, they solve this problem. They are very, very smart. "After years of characterizing the insurance industry as the bad guys in the health reform debate"
Yeah, setting up an entire health care reform law and system designed to funnel 40M+ new consumers into insurers' plans and to use federal money to subsidize their premium payments such that insurers stand to experience massive revenue increases....he sooooooo must hate them. CNN is just showing more bias and leaning towards GOP/Teatroll positioning and talking points by editorializing here, engaging in a glib mischaracterization of what Obama was doing: honestly, objectively and accurately pointing out the abuses and failures of the insurance industry that justified and necessitated reforming the system. That's not demonization or painting them as the "bad guys"...their abuses and failures did that to themselves before Obama said anything at all. Your opening line is saying the guy who points and says "racist" at the guy running around with a burning cross while wearing a white hood for "characterizing" him as a racist. No. His behavior characterized him. The observer merely observed. You're doing a terrible job of hiding the glee you feel over these issues occurring. They will lose millions if they don't. I see ads of TV everyday saying that they know the ACA and can "help" customers find out what they are eligible for,meaning subsidies. The Guns Over People tea potty are hurting insurers with their hate. Over 14 million unique hits must have piqued their interest, that is for their bottom line. At this point the government will pay Billions to get it up and running ASAP. I'm sure you won't hear about that for decades if ever. We should be allowed to go directly to insurers if we chose to and people that already had health coverage should be allowed to keep their chosen plans. I shouldn't be forced to put my personal info on the web thru the website if I don't want to that's why I deal directly with my insurer. God I would love to be the guy who comes in and turns this around. I'd kick some tires and light some fires. WOW! A group of individuals that are actually offering to work with the President and help fix the system. GOP, are you watching? This is called "Team Work." I'll bet Insurance Companies offered to help. They stand to gain 10s of millions of paying customers. The sooner HealthCare.gov works the sooner the profits start to roll in. Meantime, Sebelius should quietly leave town; could she have done any less to make HealthCare.gov a success? I wish our government would have the courage to pledge to put these criminal health insurance cartels out of business. People are not buying the insurance industry propaganda. We want universal public health care funded by a progressive tax. Adverse selection can put an underwriter on the rocks in a very short period of time. The website issues are a perfect, if unintended, device for creating adverse selection. The underwriters are faced with the choice of helping to fix the site or dropping out. If dropping out is the only real option, no company will want to be the last to leave.